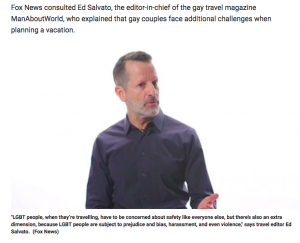 Check out our editor Ed Salvato on Fox News discussing LGBT travel safety. 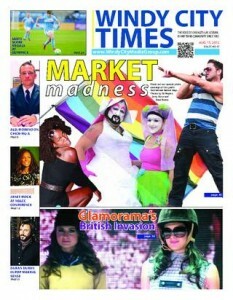 Here’s the article and here’s the video. In a world with so many travel apps of suspect value and necessity, Skift says that ManAboutWorld delivers “real improvements … providing a more informed travel experience for LGBT business travelers” Read the full article at skift.com. 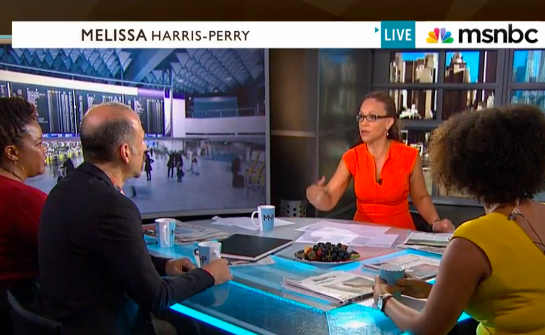 Billy was Melissa Harris-Perry’s guest on her eponymous show on MSNBC talking about the intersection of “traveling while black” and “traveling while gay” in honor of what would have been James Baldwin‘s 91st birthday. Below is a short snippet from the show. Click here to see the entire eight-minute episode. Beyond the Beach: Ft. Lauderdale for LGBT travelers. Click image to download or listen to Billy’s interview with Tim Bennett and John Nash on the FocusGroup. Media and Press interested in writing, blogging, posting, talking or tweeting about us can access our Media Information here.